I ran this post back in 2010 (sans logo, of course), but it seems like an appropriate time to revisit things. 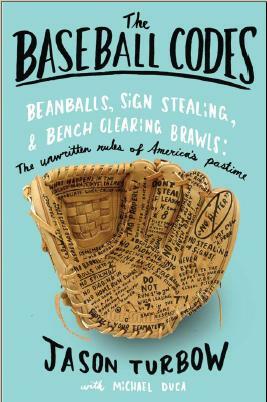 In honor of the All-Star Game, I offer three related stories, only one of which made the final draft of The Baseball Codes. Consider it bonus material to fill the downtime until games resume. In the 1978 All-Star Game in San Diego, Pete Rose went so far as to import to the National League clubhouse cases of Japanese baseballs—smaller and more tightly wound than their American counterparts, which caused them to carry farther. Working the locker room like a politician, he garnered buy-in from his teammates on two counts: The National Leaguers agreed to use the balls during batting practice, and they also agreed that nobody would tell members of the American League team what was going on. Rose then sauntered over to the AL locker room and convinced many of the players to come out and watch their opponents take pre-game hacks. Jack Murphy Stadium was vast in 1978, running 420 feet to center field, but Rose’s teammates for the day put on quite a show, hammering ball after ball over the fence’s deepest reaches. When they were done, the National Leaguers gathered all the balls and returned them to their clubhouse for safekeeping. Using standard major league baseballs in their own batting practice, the American Leaguers had a much rougher go of things. It might not have meant much . . . or maybe it did. At the very least, it didn’t hurt. The National League went on to win its seventh straight contest, 7-3. In the National League clubhouse prior to the 1968 All-Star Game, Dodgers catcher Tom Haller saw Houston’s Rusty Staub rummaging through Don Drysdale’s shaving kit, ostensibly to find evidence to support the long-whispered rumor that Drysdale doctored the ball. When Haller told the pitcher about it, it wasn’t taken lightly. Fifteen days later, Drysdale faced the Astros in Los Angeles. Trailing 1-0 with two outs and nobody on in the eighth inning, Drysdale buried a pitch into Staub’s ribs. “That’s for looking through my goddamn shaving kit,” he yelled as the hitter stumbled down to first base. Staub might not have been the world’s best sleuth, but he was smart enough to not say a word. Orioles skipper Earl Weaver was once sitting in the dugout when one of his pitchers gave up a home run. As the batter rounded third, he looked toward the Orioles bench, made eye contact with the manager and extended his middle finger. “What the hell was that?” a befuddled Weaver asked Billy Hunter, one of his coaches. Hunter knew exactly what the hell that was. “You didn’t select him for the All-Star Game,” he said. Thanks, Jason. Great stories. I love baseball stories and you tell some good one. Thanks Jason. That was very funny. Glad to be there for you, Benjamin.